Are you as accident prone as me? I am the queen of spills, stains, and messes. 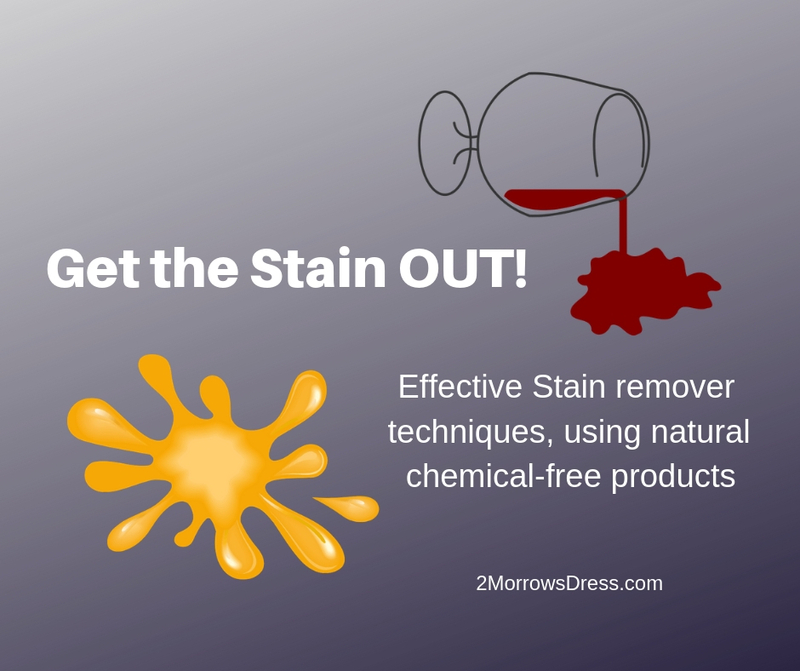 These are my tried and tested common stain remover techniques to get the satin out of anything, using natural chemical-free products! Blood – Rinse with cold water as quickly as possible, and keep the stain wet. Dab or pour hydrogen peroxide directly on the blood stain. It will “bubble” up and start to remove the blood immediately. Let it soak in for at least a minute, rub two sides of the garment together. Additional hydrogen peroxide can be applied if there is any blood remaining. Only use cold water on a blood stain, warm water will set the blood into the fabric making it harder to remove. A quick alternative, when hydrogen peroxide is not available, is to spit on the blood stain and rub. Saliva is not as efficient as hydrogen peroxide, but can remove small blood stains in a pinch. Carpet Stains from Pet Urine, Food, or Liquids (including red wine) – Sprinkle salt or baking soda on the wet spot, and vacuum when dry. Mix equal parts water and distilled white vinegar, apply to a test spot and let dry to check for discoloration. Rub water and vinegar mixture into the stain with a cloth rag, occasionally rinse the rag in clean water, and continue to rub until clean. Blot with a clean cloth towel to soak up any excess moisture, then vacuum when dry. Carpet Smells – Vacuum, then lightly sprinkle baking soda over carpet, gently rub into the fibers with a rag, brush, or broom, and vacuum at least an hour later (overnight is even better). Coffee and Tea – Start a cold water soak as quickly as possible. Natural fibers love tea and coffee (tea is a great natural dye for plant-based fabrics like cotton). Since time is the critical factor, use whatever soap is close by, liquid dishwashing detergent, liquid hand soap, or shampoo will work. Start gently rubbing with lightweight fabrics to avoid damage, stretching or noticeable wear. Rub vigorously on heavy fabrics. Keep soaking in cold water and rubbing until the stain is gone. Deodorant – Rub the inside of jeans against the deodorant stain until all white traces are gone. Wash garment as normal with an added splash of white vinegar to remove any deodorant residue. Dirt Stains – Mix equal parts baking soda and white vinegar, rub into spot, rinse or launder as usual. Grout stains – Mix baking soda and white vinegar into a paste, add a few drops of lemon juice for every ½ cup of paste. Brush or scrub grout stain until clean, then wipe with clean wet rag to remove any sticky lemon paste. Grease or Greasy Food, BBQ Sauce – Apply liquid dishwashing detergent directly to the spot and rub. Add a few drops of water at a time, rub, add more water, and continue to rub until the stain is removed and the fabric is no longer greasy. The friction from hand scrubbing will loosen and remove the stain. Reduce the laundry soap when you wash the garment. 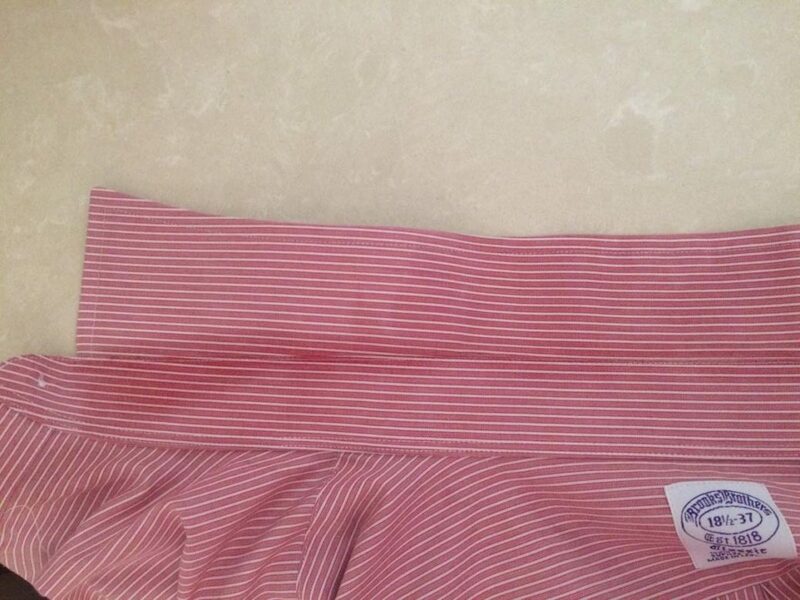 Gum in Fabric – Rub the gum area with ice or freeze the fabric. Once the gum is frozen and hard, then carefully scrape away gum (an expired credit card or used gift card is great for scraping). If the gum is embedded too deep, it may remove a layer of color. This technique works well with leather, which may remove the top layer of leather and the area may need conditioning or color touch-up. Ink – Spray the ink spot directly with vodka or other high proof, clear grain alcohol and lightly rub. If the ink has set, or is difficult to remove, then apply more alcohol to the spot. Hairspray can also be used to remove the ink, but may contain more chemicals depending on the brand. Lipstick – The quick fix it to spray or pour vodka or other high proof, clear grain alcohol directly on the stain. Rub the alcohol into the spot until removed, then air dry while wearing. Another option is to rub a few drops of dishwashing detergent into the spot. Scrub thoroughly, and wash as usual. (Low Quality or Costume) Jewelry Grime – Soak in equal parts witch hazel and water overnight. Rinse in water, and lightly rub with clean rag to dry. (Precious Metals and Fine Gemstones) Jewelry Grime – Soak in white vinegar overnight. Mix white vinegar and baking soda for light paste and brush jewelry (an old toothbrush works great). Rinse with water, dry, and admire the sparkles. Microwave – Place 1 cup of vinegar in a glass container in the microwave. Cook for 30 second increments, the vinegar will start to steam and loosens any baked on food or liquid. Wipe the inside of the microwave with a wet rag and let it air dry. Mustard – Rinse the backside of the fabric with cold water to remove as much of the mustard as possible without further spreading the stain. Mix white vinegar, water, and a couple drops of liquid dish soap, then rub into spot to soak. Add a sprinkle of baking soda to the mixture for heavier fabrics. Rinse, and repeat rubbing mixture until the stain is gone. Red Wine – Immediately cover the area with salt. For delicate fabrics, rinse and lightly scrub with club soda until the stain disappears. For dried on red wine stains or heavier fabrics, pour salt over the area, then slowly pour hot or boiling water over the fabric (place the fabric in a bowl or in the sink). Smells – Mix equal parts water and white vinegar in a spray bottle, lightly spray fabric, carpet, or upholstery to remove bad odor. Clothes and window drapes can then be hung in a steam shower to eliminate all bad odors. Sweat – Sweat stains are affectionately called “ring around the collar” for neckline sweat and “pit stains” for underarm sweat. 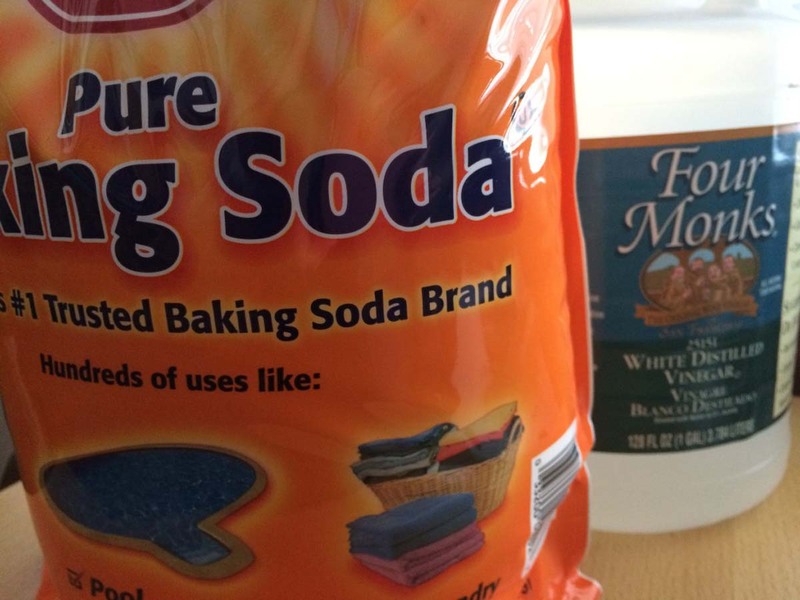 To remove the stain, and the odor, start with a distilled white vinegar soak. Deep sweat stains may require more than the initial soak. Mix vinegar and baking soda to form a paste, lightly rub the paste on the stain, rinse, and repeat until the stain is gone. For extra scrubbing power, squeeze half a lemon into the baking soda vinegar paste, then rub into the fabric with the lemon. Toothpaste – Scrape as much off the fabric as possible, and immediately soak in warm water. Rub a couple drops of laundry detergent on the stain, rinse, and repeat until the stain is gone. Wood Furniture Stains – Gently rub toothpaste on any water rings. Wipe all wood furniture with white vinegar on a rag to thoroughly clean. Dab a little olive oil on a clean, dry rag, then lightly wipe over all wood to polish after cleaning. My favorite stain fighting products! Wishing you the best to remove stains, and avoiding them in the first place.